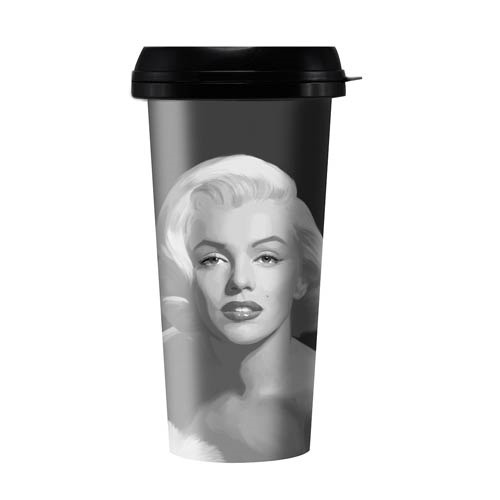 Your favorite classic movie starlet on a travel mug! The Marilyn Monroe Gray Painting 16 oz. Travel Mug features an image of the beautiful actress, painted in gray. This mug holds 16 ounces of liquid. Hand wash only. Not dishwasher safe. Do not microwave.